Have any of these questions ever crossed your mind? • Why isn’t my child talking yet? • Should my child be using more words? • What can I do to help my child talk better? 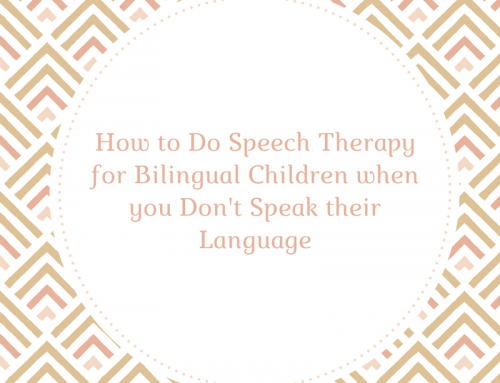 • Why can’t I understand what my child says better? 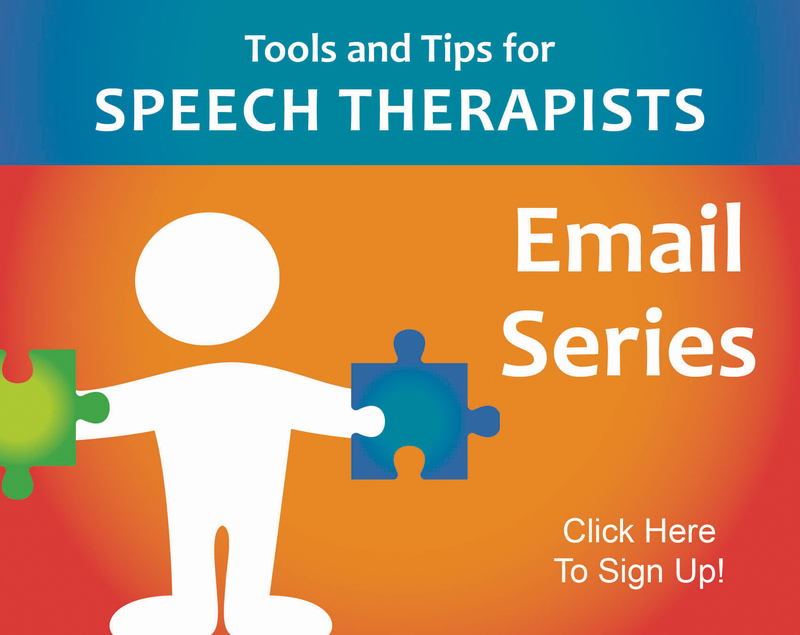 • Does my child need speech therapy? If so, your child may have a speech delay or language delay. 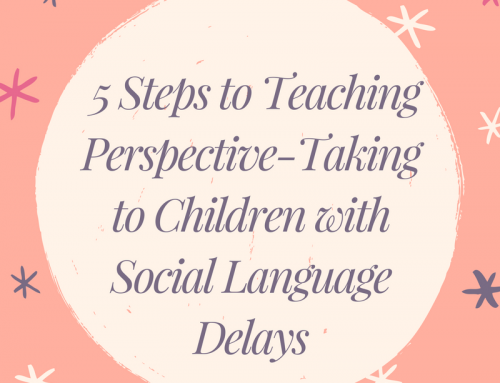 Many times when we speak of children with speech delays, we are referring to delays in pronunciation (speech) as well as delays in general speaking skills (language). Typically we consider children to have a delay in communication when they use fewer than 10 words by 18 months of age or fewer than 80 words at 2 years, though there is no hard and fast rule about this. Some children with delayed speech and language skills will grow out of it; others will require speech/language therapy to help them along. 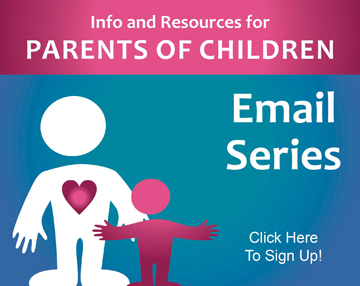 There’s no way to tell which route your child will take, but if you are concerned there are many things you can do at home to help your child along. Here are some brief descriptions of some of those things. I recommend trying one strategy for a week before introducing the next one. You don’t need to do each strategy all of the time, just choose a few times per day or week that you will practice it. Talk about what you are doing. Describe what you are holding, the actions you are performing, what you see, how you feel, and what you hear, smell, or taste. Talk about all of this! Your child will learn from hearing you talk about all of those things. They key here is to keep your utterances short. As a general rule of thumb, you should speak in phrases that are the same length as your child’s or slightly longer. For example, if your child isn’t talking yet or is only using one word at a time, you should be speaking in one-word phrases and two-word phrases, like “Ball. Throw. Throw ball. Ball”. If your child is using mostly single words but is beginning to put a few two-word phrases together, use a lot of two-word phrases when you speak to your child but also throw in some three-word utterances as well as a few one-word utterances. Don’t be afraid to repeat those same words many times. These children learn through repetition! 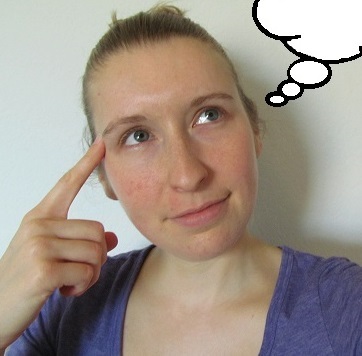 In this strategy, you will continue to use the self-talk described above but you will pair your spoken word with a sign language sign. Researchers have found that sign language serves as a great tool to get kids talking (or talking more), especially late talkers. 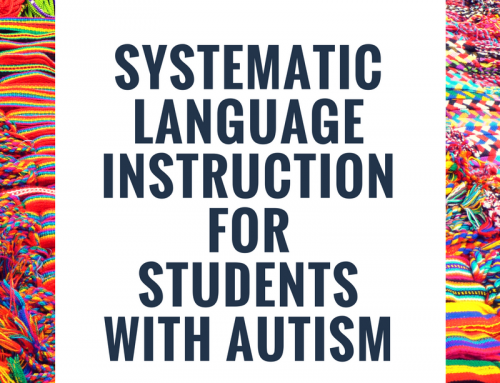 Once the learn the power of communication through signing, they soon abandon signs for spoken language, as that will always be a more effective way to communicate for them. You can use any book/website/or DVD that teaches sign language or baby sign to learn some basic signs. There are more detailed guides about using sign language with late talkers in my e-book, Speech and Language Therapy Guide. I also have sign language flash cards in my store. This strategy is very much like the “Self-Talk” strategy but instead of talking about what you are doing, you will be talking about what your child is doing. You can label the objects your child is using, the actions she is doing, how she’s feeling, what she hears, etc. Be sure that you’re continuing to use sentences that are right at or slightly above the length of sentences that your child is using, even if that’s only one or two words long. In this strategy, you will build on your child’s speech or gestures. Talk whatever your child says and add one word onto it. If your child says “ball”, you could say “want ball”, “my ball”, “yellow ball”, “throw ball”, or anything else that contains the word ball with one other word. You could even use two or three different examples. If your child is not saying anything yet, you can build on his gestures. Whenever he points at something or makes a gesture to try to communicate something with you, say the word that goes along with that gesture. You can name the thing he’s pointing at or reaching for, label the emotion he’s feeling, or anything else you feel like your child is trying to communicate. 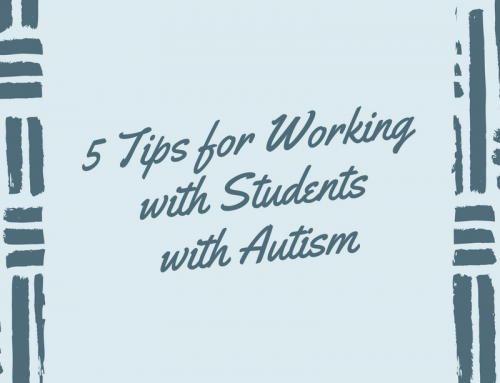 In this strategy, you will work to increase your child’s receptive vocabulary. Receptive vocabulary includes all of the words your child understands when you say them, even if she’s not saying them herself yet. Children must first understand words before they can use them. You can increase your child’s receptive vocabulary by having him point to pictures, objects, or people when you label them for her. For example, you can say “where’s Daddy?” and help her point or look towards Daddy. This is a great one to do while reading books. You can ask your child to point to an object in the book by saying “where’s the ___”, “show me the ____” or “point to the ____”. Give your child a bit of wait time, and if she can’t find it, then you can point it out for her and help her point to it as well. Keep doing this and soon your child will begin to understand more words. 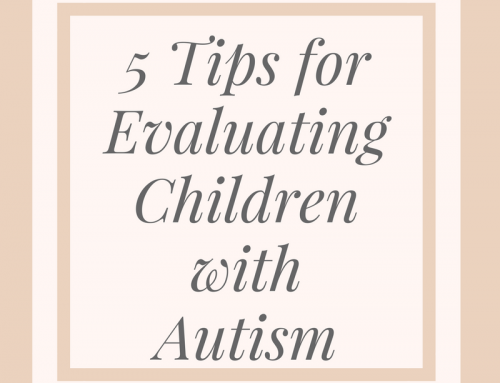 Start with these 5 easy steps and see how your child does. If your child’s speech and language skills continue to improve, then you’re on the right track! However, if these activities do not help your child, you may need to contact a speech-language pathologist (SLP) for additional support. Your local school district is usually a great resource for finding an SLP near you. Hi Carrie, I am a primary school special ed teacher in Ireland and I must say I am over the moon to have found your website. It is so comprehensive and relevant to what I do that I don’t know how I managed without it! and it’s all FREE! Im super excited! I should really go to sleep but I can stop reading and thinking of ways I can use your advice to help my pupils. Thank you for sharing your wealth of knowledge. A big thank you from Ireland. I found your website and I am so happy I did! My DD is 4 years old and is speech delayed, I thankfully have her in speech therapy twice a week. She went from not verbalizing to saying 3 to 4 word phrases but still wont answer questions she just repeats.. she pretty much repeats everything you ask her, mainly repeats questions or statements instead of answering them or agreeing. She is a very bright child and can memorize so well that she has started reading simple words like colors and animals. I just need some pointers on what I can do at home. Your flash card game has been printed and I will be using it tonight! I am very excited and wanted to thank you for being a light. Really excited to have stumbled on your website! I have an active three year old with delayed speech. He is echolalic and uses single words only. He plays happily with peers and produces unintelligible speech. Learning and basic recall is a difficulty. Which of your free resources is best to start with? 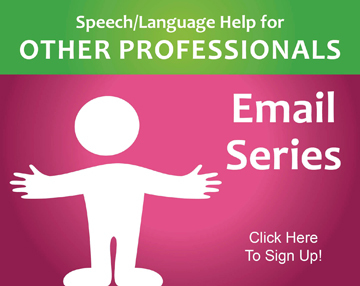 Hi, Evelyn-Here is a link to Carrie’s resources on Echolalia: https://www.speechandlanguagekids.com/?s=echolalia. You may want to start there. If you have additional questions, please email us at speechandlanguagekids@gmail.com.